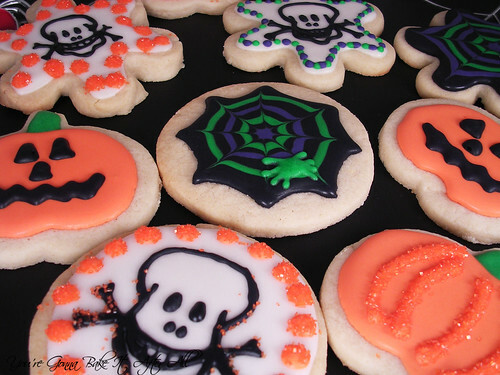 You're Gonna Bake It After All: Halloween Cookies! 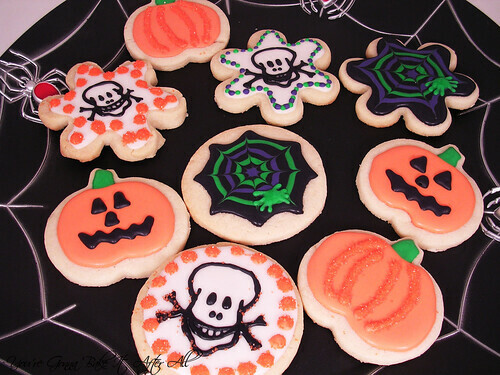 I've been wanting to make these cookies ever since Annie posted them last year, and she even added some super cute new ones earlier this week. I especially love the spider webs, which use one of my favorite marbling techniques. 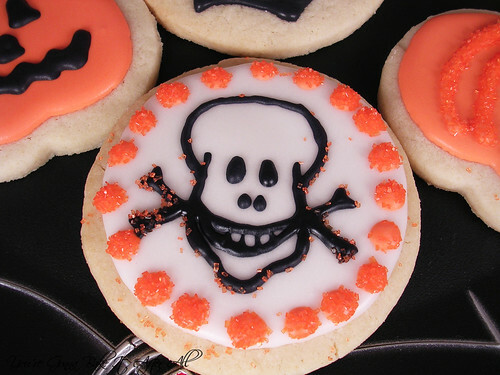 I've got two sugar cookie posts ready to share with you soon that feature this technique! 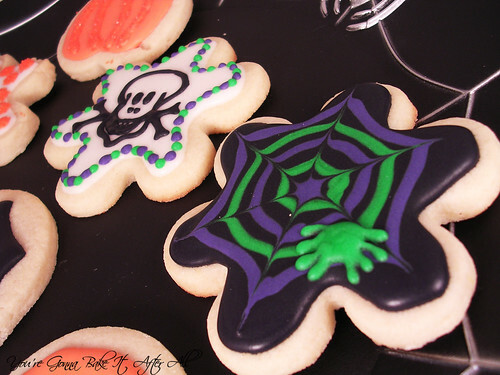 I've posted about Royal Icing, Sugar Cookies, and marbling before, so I'm just directing you to those recipes. 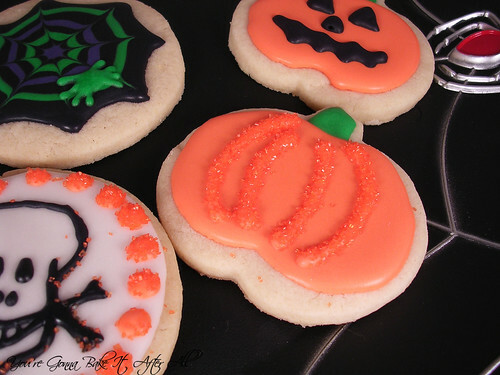 The royal icing recipe is my favorite because it doesn't require a drying time between the outline step and flooding, which saves you time and prevents the undesirable outline look on your cookies. 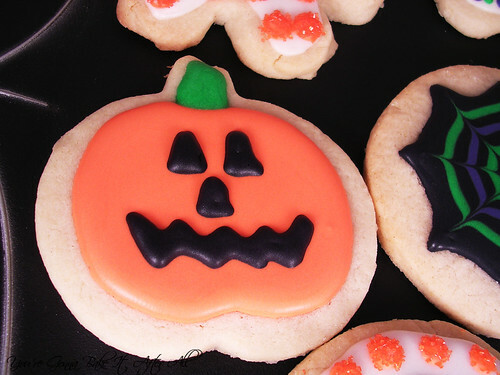 The sugar cookie recipe is the best I've found, and I've tested many! Bridget actually tested several recipes side-by-side and chose this one. Do I get to eat some of these cookies? I love the spider plate! Love your cookies!! I do have one quick (maybe a slightly "duh") question to ask. 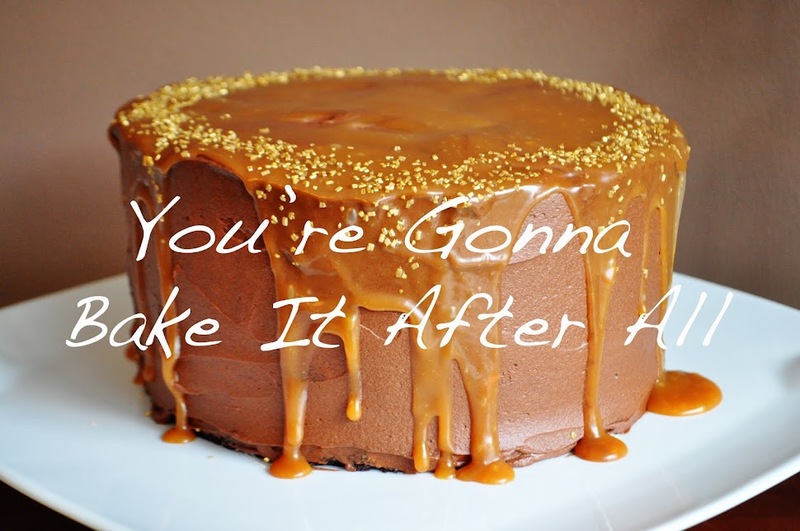 You say your icing recipe doesn't require the initial outline step. So then how do you flood the cookie? This is only my third time to experiment with flooding cookies, so I'm still very much learning. :) In the past I've done the outline, wait to set, thin the icing, and then flood. Do you outline and then with the very same icing (no thinning) flood directly after outlining? That is actually a great question, and it made me realize that I misstated what I actually meant - I meant to say that it doesn't require a drying time between the outline and flooding (I'm correcting this in the post!) Thanks for alerting me to this. You are correct that the icing consistency is such that the same icing can be used for outlining and flooding - no extra thinning. I usually add a bit of warm water to the a small portion of the original "stock" of icing and then color it, but I've never had a problem with my outlines not staying put or my flooding not working properly. I think my source for the icing recipe (provided in the butterfly cookie post) provides some tips on how to use it, but I'll have to double check that. One important point is that I ONLY do outlining immediately followed by flooding when I don't want to see the outline, i.e. the outline and the flood are the same color. For the butterflies, I did let the outline dry 1 hour because I wanted the black outline to contrast the pastel fill. Does that make sense? Thanks for your comment! Royal icing can be confusing, and it's even sometimes difficult to communicate how to work with it! Makes perfect sense! I figured that's what you meant, but it never hurts to double check! :) Thanks so much, can't wait to try it out tonight! SOO adorable! I really like the glitter on the pumpkins! 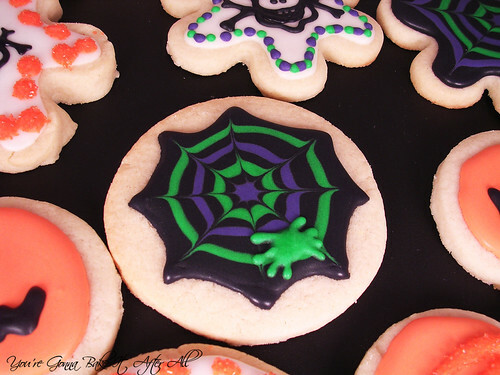 Oh my gosh, that spiderweb cookie is awesome. It looks so professional and the colors are great. By the way, I'm holding a CSN giveaway on my blog today so be sure to come by for a chance to enter. These are so awesome. You did such a great job!